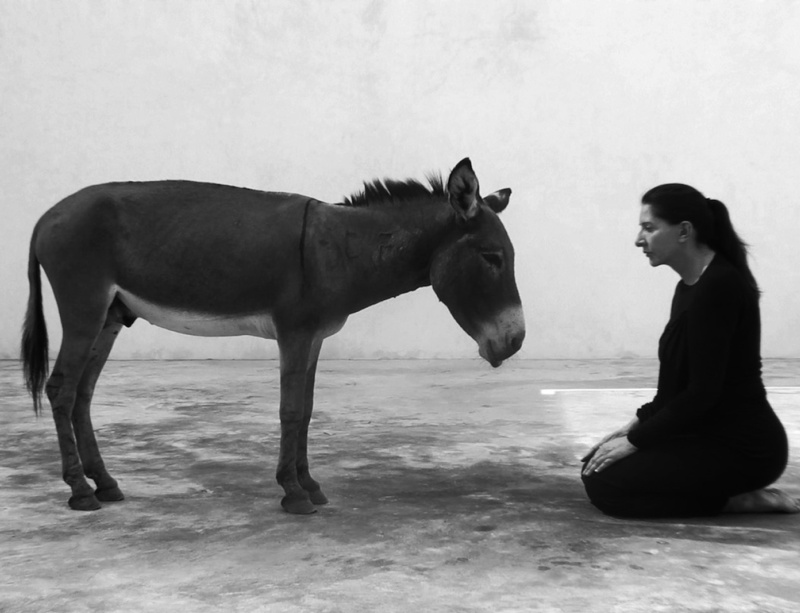 Curated by Jochen Volz – Head of Programmes at London’s Serpentine Galleries – with the assistance of Catarina Duncan and Sidney Russell, Marina Abramović’s retrospective assembles immersive installations, historic videos and interactive objects representing the artist’s recent groundbreaking solo performances. Together, these works illuminate the sources of Abramović’s creativity, which have driven her career for over 40 years. The retrospective includes three large-scale, immersive installations representing Abramović’s seminal performance works from the last twelve years. An entirely new presentation of The House with the Ocean View, presented at the Sean Kelly Gallery, New York, in 2002, has been designed by the artist for Terra Comunal at SESC. The Artist Is Present, performed for the New York Museum of Modern Art (MoMA) as part of the artist’s retrospective in 2010, will be shown on a massive scale as a multi-channel video installation. The third installation in Terra Comunal – Marina Abramović is composed of the never before seen video documentation of 512 Hours. This piece is based on the unique performance which took place at The Serpentine Galleries in London, in the summer of 2014. The show will also include a careful selection of videos from all points in her career. Jochen Volz has selected 10 videos which trace the history and trajectory of Abramović’s art practice. The videos highlight her ability to commit to a single action over an extended period of time, which open the potential of personal transformation for both the artist and the spectator. A collection of Transitory Objects for Human and Non-Human Use are also included in the exhibition. Beginning in 1989, after her separation from Ulay, Abramović began making a body of sculptural works that were designed to be interacted with by the public. These objects also reveal the roots of an ongoing relationship that Abramović has cultivated with Brazil. The artist has been visiting the country since 1989 (she’s traveled to Pará, Minas Gerais, Santa Catarina, Amazonas, and other locations), in order to investigate crystals and other minerals and their influence on the human body and mind. Curated by Marina Abramović and the artists Paula Garcia and Lynsey Peisinger, the second segment of Terra Comunal will be the largest presentation to date of the Marina Abramović Institute. During its itinerancy at SESC Pompeia, MAI is presenting the Abramović Method, eight Brazilian artists selected by Abramović who will perform during the exhibition in addition to a series of talks with Abramović. There will also be a space for experimentation and collaboration, where visitors can explore immaterial art and performance, with a special programming that includes new performances by artist Lynsey Peisinger and re-performances of Abramović’s early work by artist Andrea Boller. Terra Comunal runs 10 March – 10 May 2015, for more information visit the SESC website or contact Rhiannon Pickles, rhiannon@picklespr.com.